The funding will come from the Listed Places of Worship Roof Repair Fund, a fund which was announced by the Chancellor of the Exchequer in last year’s Autumn Statement. 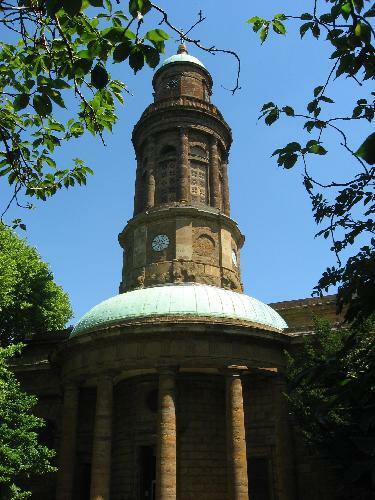 All listed places of worship were invited to make applications to the fund by 30 January 2015 for a grant between £10,000 to £100,000 to repair church roofs and guttering. “I am delighted that on the last day of this Parliament and my last day as an MP and Second Church Estates Commissioner, it has been announced that St Mary’s Banbury has been awarded the full amount for the repair of its church roof. “I was extremely grateful to the Chancellor when he announced that funds would be made available for the repair of church roofs and St Mary’s were extremely diligent in getting their application in before the deadline in January. “This will obviously be very welcome money for St Mary’s which is the only Grade One Listed Building in the town suffers from the fact that the Horton stone is very soft. The money will help ensure the church remains weather tight, safe and open for use.